Moscow has long had a reputation as the one of the world’s most expensive cities to visit. I was warned by other travellers to make sure that I had a big budget and to keep my money safe when exploring the city. What an irony! This reputation could have stemmed from the Cold War where wealthy foreigners inhabited the city and they were charged exorbitant prices and treated like royalty. It doesn’t help that the city boasts the largest number of billionaires in the world – that’s 84 billionaires according to a Forbes report. But this notion should not shun you from visiting Moscow. The city has so much to offer in terms of history, world iconic buildings such as St. Basil’s Cathedral and the Kremlin, rich decadent food, spectacular metro (subway) stations, beautiful ballet and a vibrant arts scene. If you’re in for a splurge, dig deep into your pockets and sink into lavish beds at the Four Seasons, St. Regis, Ritz Carlton, the heritage Baltschug Kempinski, or for a family-friendly option, try Mamaison All-Suites. Dotted across the city are other more affordable accommodation options for the budget keepers. Try Petrovka Loft, Mercure Arbat or Ibis Moscow. When it comes to tucking into a good meal there is no shortage of options. There are 2,750 restaurants dotted all across the city of Moscow and still counting. Make sure you check TripAdvisor for the current top ranking restaurants because competition is tight in the F&B scene. For a full Russian fare, definitely give Pushkin Cafe, Russkie Sezony and Dr. Zhivago a try. 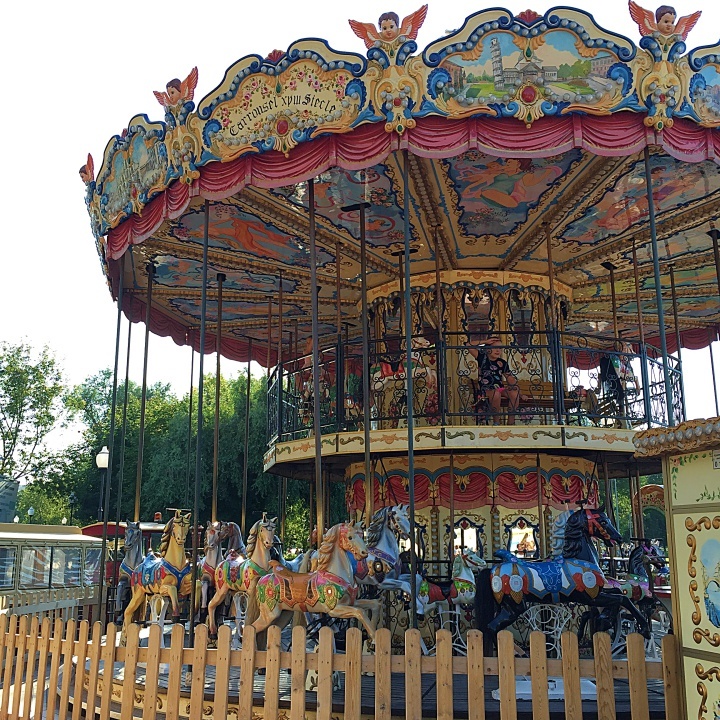 You will be enthralled by the grand 18th-century decor and be prepared to be served by waiters dressed in crisp suites and starched white aprons. Getting around the city can be quite a challenge if you don’t read Russian Cyrillic, especially when using the Metro. So make sure you have some sort of translation app on your phone or stop passers-by on the way. You can also flag down almost any car on the road and, if it is going your way, it will become a taxi – again, that’s if you can speak Russian. The cheapest and most efficient option is to take the metro and the city is very pedestrian friendly. Now let’s get to it. 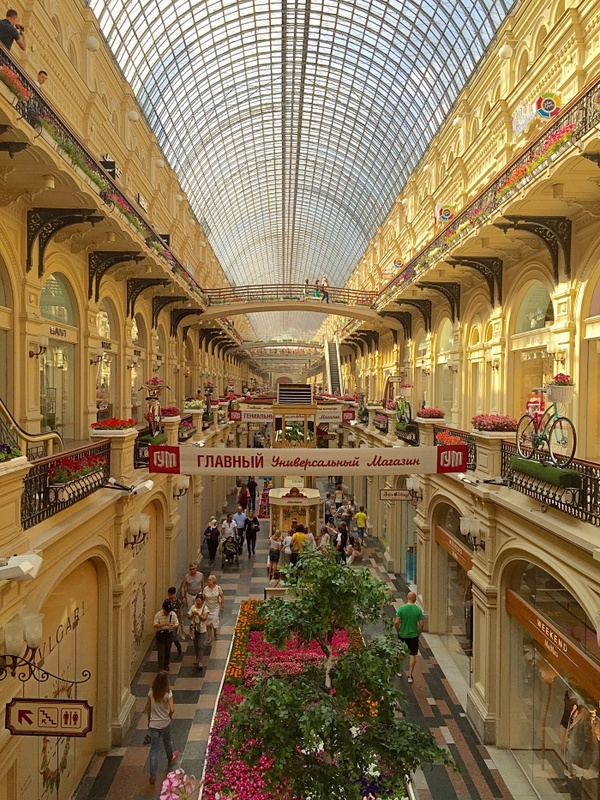 If you had 48 hours in this dazzling city, here are some suggested must do’s to capture the pulse of Moscow. Yes, you read it right. It’s free with an option to tip at the end of the tour. Usually, most people tip because these walk tours are highly informative, very engaging and it helps you navigate in a new city. I recommend taking the tour on the day of arrival as I found that incredibly useful especially when it comes to insider tips at the end of the tour about where to eat, shop for souvenirs and things to see. 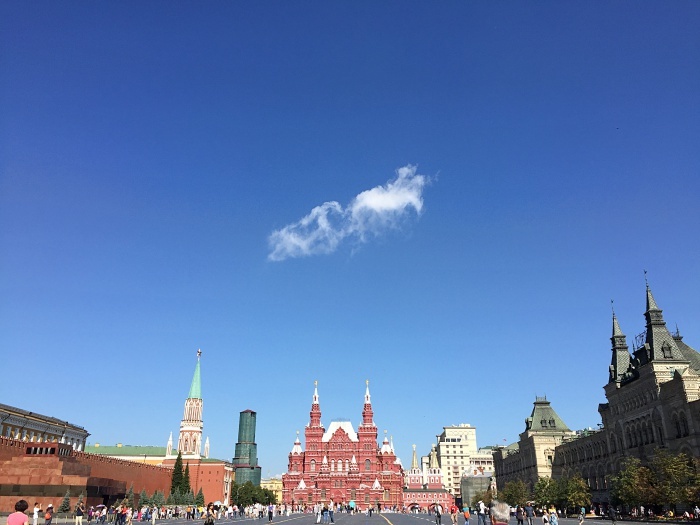 There is no escaping this – the Red Square remains the essential starting point for sightseeing in Moscow. Red Square is an expanse of space bordered by the colourful and charming St Basil’s Cathedral, with its iconic spiral domes; the historical GUM State Department store – where only international luxury brands make it here, the massive Kremlin – the famous seat of Russian rule and the Lenin Mausoleum – where you will have a chance to ‘meet’ the ruler himself in a glass casket. You can easily spend more than half a day in the Kremlin – within its walls are enormous palace complexes, old cathedrals and a house of just for armoury, bedazzling jewels, carriages and thrones. The ticket prices vary, get your ticket at the ticket office on site and it opens at 9am. The Kremlin is closed on Thursdays. 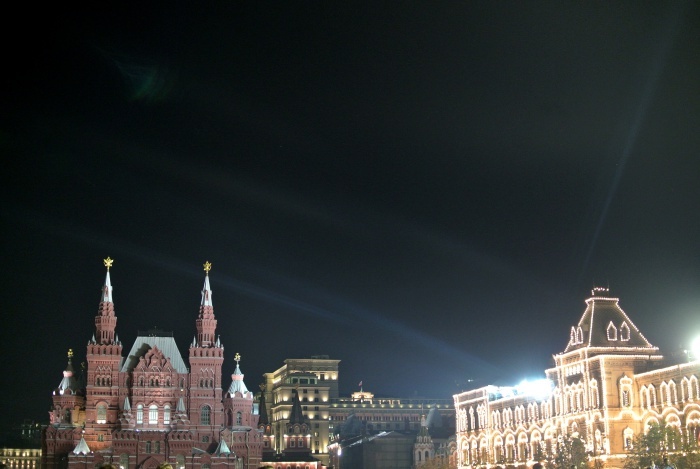 You need to see the Red Square by day and by night. The lights from the GUM department store, the evening glow from the museum, the illuminated St. Basil’s Cathedral and clock towers in the Kremlin is a wonderland after night fall. If there is one attraction in Moscow worth seeing twice, it is Red Square. Head there again when it’s dark to see the evening glow on St Basil’s and the GUM department store. 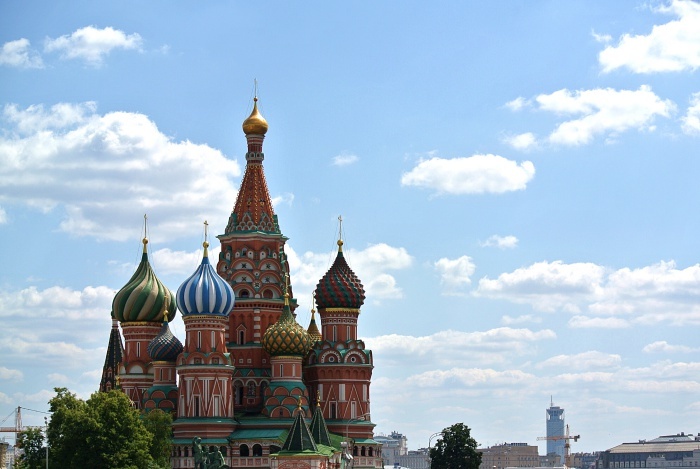 Although it’s often seen as part of the Red Square, the beautiful cathedral has garnered a name for itself and is known as the unofficial icon of Moscow. The Cathedral’s full name is the Cathedral of the Protection of Most Holy Theotokos on the Moat – thankfully Ivan the Terrible who commissioned the building of the cathedral shorted it to St. Basil. Named after a holy hermit who lived on the streets, Ivan the Terrible seemed to have found a liking for him. Legend has it that after the architect finished building the cathedral his eyes were gouged upon the strict command of Ivan the Terrible because the ruler did not want him to build another cathedral as beautiful as this. Contrary to popular belief, St. Basil’s Cathedral is not just one church, instead it is a cluster of nine churches sitting on one foundation. The interior of the church is not airy and spacious, instead it is narrow and winding. 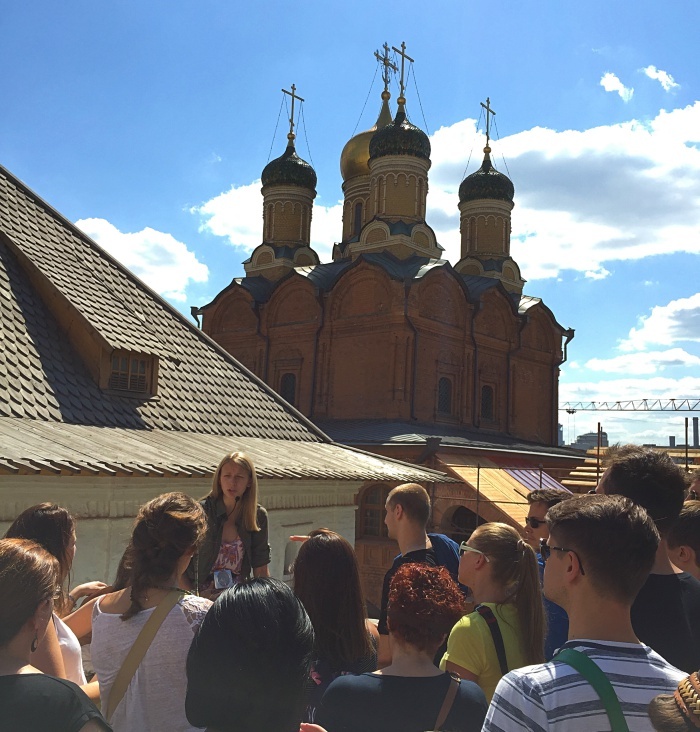 Get tickets and explore the interiors of the church while appreciating the view of the Red Square from the many small odd-shaped windows. Even if you don’t purchase anything from here, it is still worth a stroll. The high domed ceiling and open bridges connecting the floors are an exquisite example of pre-revolution architecture. If your legs give way after a full day of exploring, this is a great place to chill and have a cuppa. You have to try the famous ice cream here. I heard from a local that the ice cream sold at GUM dates back to the Soviet era where children could be seen walking out of the departmental store with a cone in hand. 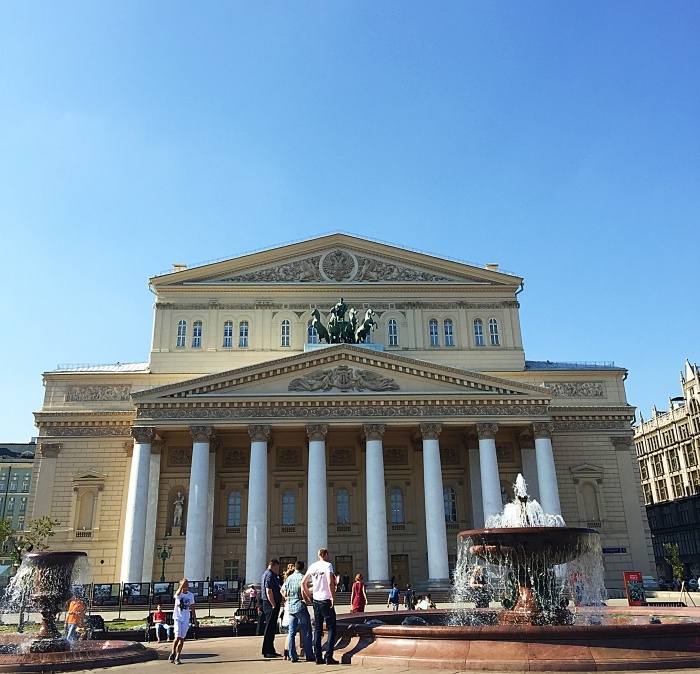 The historical Bolshoi theatre is home to some of the best ballet shows such as Swan Lake, Giselle, Sleeping Beauty and Romeo & Juliet. Book in advance if you want to catch a show here. There are standing tickets available and ticket counters open two hours before the actual show, but be sure to stand in line early as tickets get snapped up pretty quickly. The Central Park of Moscow, this green lung has a small man-made ‘beach’, lakes to paddle in, playgrounds and carousels for children. There are also fountains, skateboarding ramps, running trails along the Moscow River and plenty of space to bask. On weekends and on weekdays, Gorky is packed and you’d never go hungry with plenty of food stalls to choose from – corn, sandwiches, hot dogs, ice cream, you name it. Be sure to also check out the latest funky Garage Museum of Contemporary Art. 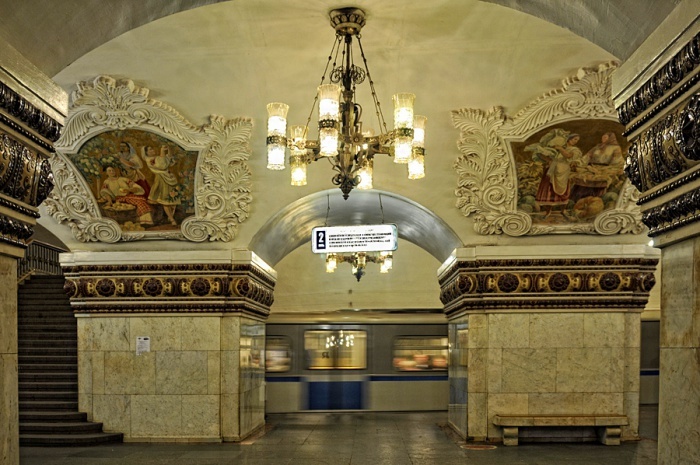 Moscow’s metro is no ordinary subway, not just because some stations were dug deep to serve as bomb shelters (the escalators are incredibly steep), but because the metro stations are in itself a work of art. It is said that the metro stations were designed with intricate carvings, elaborate hanging lamps and etched with paintings as a channel for art to commoners who otherwise had no access to the elite world. Notable metros include; Komsomolskaya, Taganskaya and Prospekt Mira. Lovely article. We (I and my wife) too were in Moscow a couple of months back and were immensely impressed with the gigantism of the place. Another spot worthy of mention is the Diamond Fund Exhibition inside the Armoury at Kremlin. It houses the largest and most precious collection of diamonds anywhere in the world.